Hi-ho, Silver! 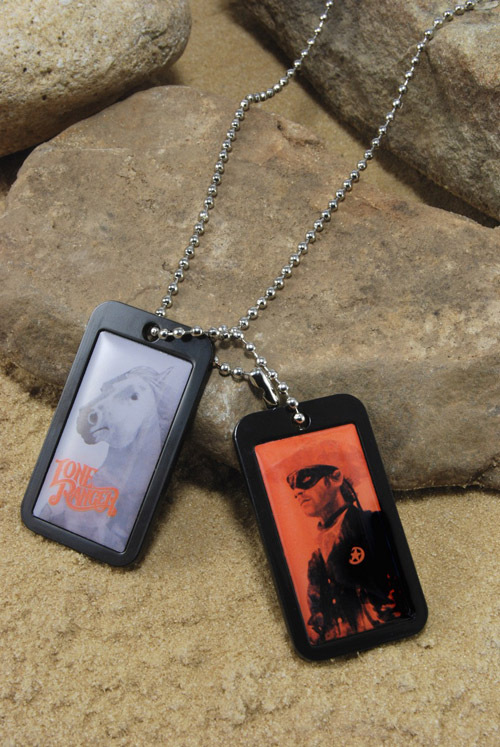 The masked man rides again on these metal and epoxy dog tags from Disney’s The Lone Ranger. 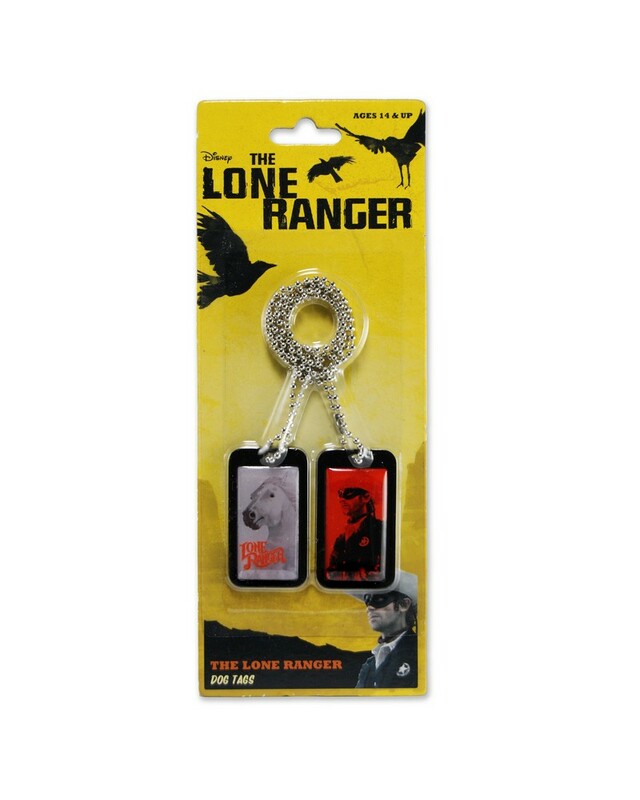 The two plates measure about 1×2″ each and feature The Lone Ranger and his faithful steed, Silver. 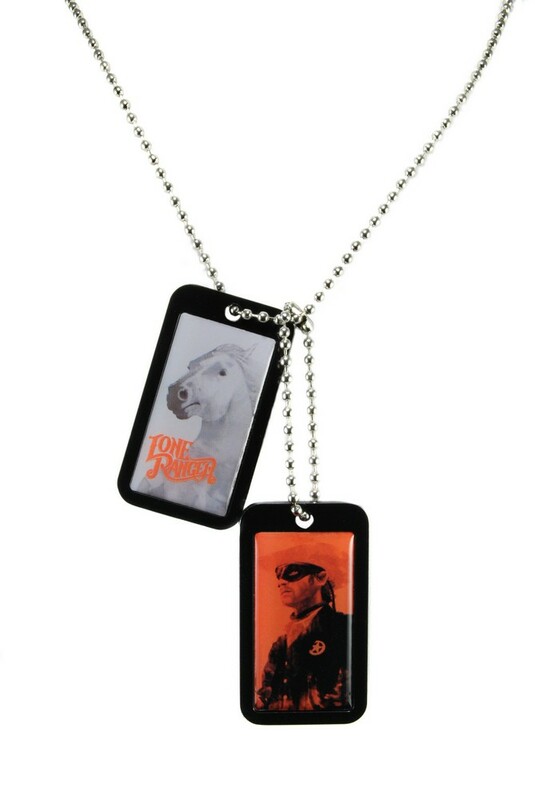 They hang from a 27-inch ball chain that’s easy to slip on over your head.